Notes: I find the way paint rubs off tarmac in car parks strangely fascinating at times. This mish-mash was spotted at Bluewater today. 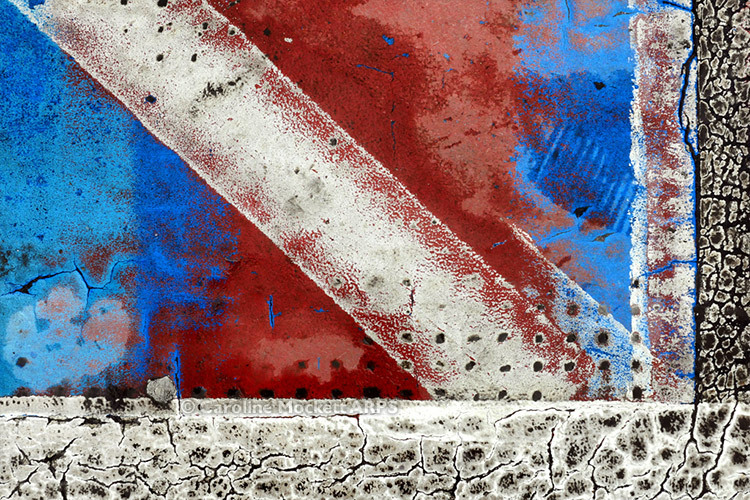 I liked the red, white and blue abstract patterns while the strong lines made a good image for Treasure Hunt Theme #24 – Diagonal. Notes: We woke up to a light covering of snow this morning in Deal. 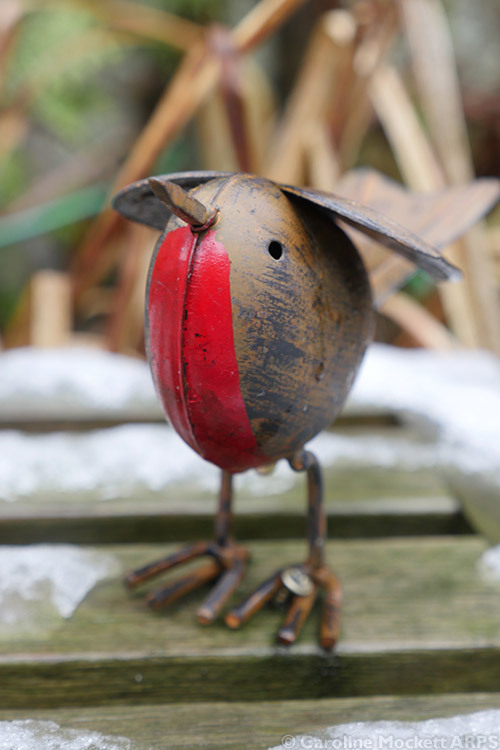 It was already turning slushy but I quickly grabbed this image of one of Julian’s garden ornaments before setting off to drive home. 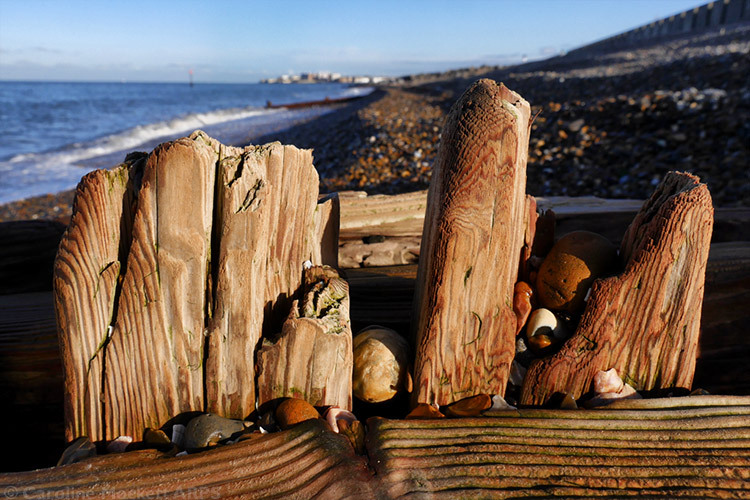 Notes: I drove down to Deal today to stay with a friend for a couple of days, but stopped off for lunch at Bluewater. 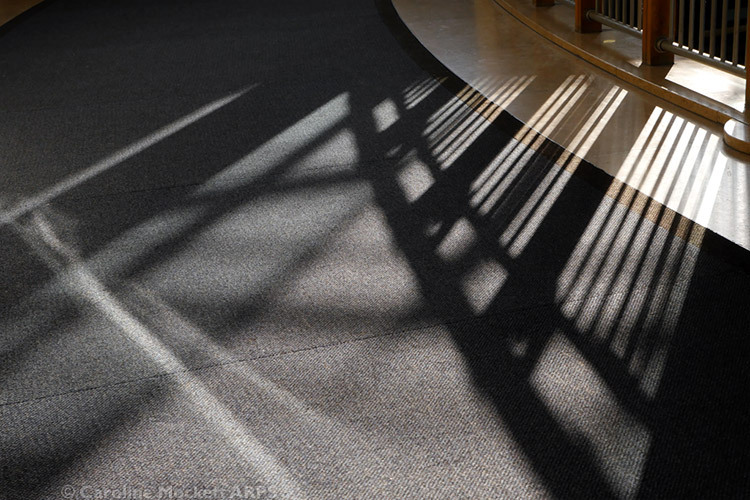 I spotted these railings casting attractive shadows on the carpet on my way out.